TL;DR, Popular Google Chrome extensions are constantly tracking you per default, making it very difficult or impossible for you to opt-out. These extensions will receive your complete browsing history, all your cookies, your secret access-tokens used for authentication (i.e., Facebook Connect) and shared links from sites such as Dropbox and Google Drive. The third-party services in use are hiding their tracking by all means possible, combined with terrible privacy policies hidden inside the Chrome Web Store. The Detectify team has identified how they are doing it and what options you have to avoid being affected by it. Google, claiming that Chrome is the safest web browser out there, is actually making it very simple for extensions to hide how aggressively they are tracking their users. We have also discovered exactly how intrusive this sort of tracking actually is and how these tracking companies actually do a lot of things trying to hide it. Due to the fact that the gathering of data is made inside an extension, all other extensions created to prevent tracking (such as Ghostery) are completely bypassed. About a month ago, SourceDNA posted an advisory around private data shared by an advertising SDK used in the iOS App Store. Similar companies are doing the same thing in Google Chrome Web Store using Chrome extensions – and they are getting away with it. 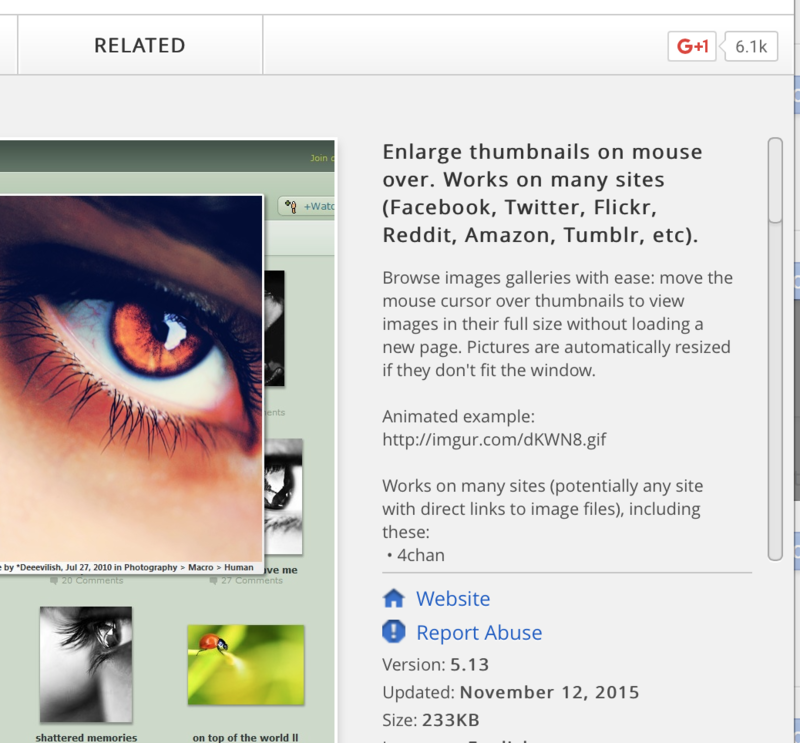 You install an extension from Google Chrome Web Store. This extension asks for permissions, being able to access web pages you are currently visiting, sometimes restricted to certain web pages. More often than not, these permissions are set to <all_urls> which means that they work on every web page. The extensions installed will now run every time you’re visiting pages where the extensions are permitted. Some of these permissions are legit, needed by the extension to work, but more often than not, the extensions are also embedding third-party scripts which are gathering all your browser traffic. What happens to the browsing history they are tracking? The tracked browsing history data is made available through analytics services, where anyone can sign up to pay for a monthly subscription to analyze and dig through this traffic. It is still unknown what happens with some of the data, such as your personal cookies, but there’s a possibility that it is being used to enhance the profile of the user to make the analytics even more accurate in terms of location, gender, age and interests. Through these services, we’ve been able to confirm that even browsing patterns from only one user ended up in the search results, making it possible to fingerprint a specific user’s browser history. For people using shared links on Dropbox or Google Drive, these tracking services are able to get access to all information shared. Many times you are sharing material that might be confidential, like a financial report or an internal contract or document. Through these analytics services, people can find these links to the documents and gain access to them without your knowledge or consent. Pages which only one person had visited. We tested this out. One of the guys in the office using one of the plugins created a local website, page X, which didn’t link anywhere, but while being on the site he changed the address bar to page Y. He was the only visitor ofpage X. Two weeks later page X ended up in the “Similar sites” of page Y with “Affinity: 0.01%”. They are running the tracking scripts in a separate background instance of the extension, but can still get access to all information about your tabs. By doing this, your network traffic of a web page will not disclose that requests are being done to a third party. This bypasses all Content Security Policy-rules and Chrome extensions – such as Ghostery – that tries to prevent tracking, since the requests are being done inside the extension itself. Some third-party scripts are posting a request for each page view, some of them are collecting multiple page views and will send data in chunks every now and then. Some tracking scripts are using different subdomains for each extension making it harder to see that they are using the same solutions for tracking users and to make it harder to block them. The extensions always enable this tracking per default, some of them do give you an option to disable it, but it’s always activated from start. Some extensions have added these scripts inside an incremental update, automatically enabling the tracking for all users from before the update. Our guess is that this is a way to bypass any filters used by Chrome Web Store to identify malicious extensions and abuse of privacy. It’s also a great way for the tracking scripts to be auto updated, without forcing the user or the owner of the extension to update the extension. They are sending over everything about you. Every. Thing. Even relations between websites that is only known by the current user, since the pages themselves are not linked in any way. They also steal all your cookies and OAuth access-tokens (provided between web pages using URL fragments aka location.hash). Here are some examples of what kind of data that is being shared from some of the third-party scripts, we have de-obfuscated the data in these examples so you can see the exact data being transferred. send tracking -> "user opened new tab with nytimes.com"
send tracking -> "user changed from nytimes.com to huffpost.com"
User visits a shared link with family photos, only people with the link can access the photos. send tracking -> "user opened a new tab and here is the complete Dropbox-URL for your personal data being shared"
User signs in with Facebook Connect on a website. send tracking -> "user signed in on webpage X and here is the private access_token to access this Facebook account"
User visits google.se being signed in on Google. send tracking -> "here is all request headers, including the cookies for the currently signed in user on Google"
Do you see the scrollbar on the right side of the description? If you scroll that one down to the bottom, you’ll see the text where it says that you’re being tracked. Awesome UX in the works. Both the description of why they are including the tracking script and the privacy policies for these scripts are a complete joke. “We never collect Personal Information unless such information is actively provided to us by you. But why are the extensions agreeing to use this tracking code? Many of these extensions are being paid per user by the third party to install the tracking code in their extensions. We’ve seen some indications on Chrome Extension-forums that it’s around $0.04 per user/month. For plugins with over tens and hundreds of thousands of users that equals a substantial amount of monthly income. What’s interesting here is that HoverZoom was discussed more than a year ago on Reddit regarding its gathering of user data. They even went out with an official statement on their website denying that the third-party scripts they used at that time were collecting any personal data, a statement that is 100% false with the current state of their extension. The problem could actually be that HoverZoom haven’t even realized what the tracking script they are using actually does due to the auto update solution it is utilizing. Try yourself, just by googling: site:chrome.google.com “In order to continuously improve and maintain this software we work with” will show some of the extensions using one of the tracking providers out there. So, what to do here. First, uninstall all the extension you don’t trust or know exactly what they are doing. Go tochrome://extensions and press the Details-link of each extension you want to keep and see if they mentioned anything about this sort of behaviour. Please note that the words they are using when mentioning this sort of tracking is de-emphasized to say the least. The Chrome Web Store will need to act on extensions using these methods or at least disallow extensions to steal your cookies. The UX of the Chrome Web Store is terrible due to the tiny description box of the extension, and these third-parties take advantage of that. Dropbox should add a way for users to see if the link was accessed by anyone and from where. However, Dropbox Pro users do have the ability to set an expiration and to set a password for any shared link. In addition to these controls, Dropbox Business admins have the option to limit access to a shared link only to members of their team. Within the admin console, admins can also view access logs for shared links and have the ability to disable links when suspicious activity is detected. But just opting-out yourself is unfortunately not enough since people you are communicating with online may also be tracked. If you send across a shared link to a colleague using a service like Dropbox or Google Docs, and they open it in Google Chrome, the colleague’s Chrome extensions might also expose this link to tracking services. So be smart when sending across a business document, and do it as an attachment in an email as opposed to through a shared link on a file sharing service. Are Firefox extensions any better? Well, we beg to differ. Update: Changed the suggestion for Dropbox, since they do have options to lock links internally for Dropbox Pro and Business. Update 2: 7 of the 12 listed Chrome extensions has been disabled from the Chrome Web Store + a bunch more. No statement or announcement by Google though. Update 4: The Google Web Store has also removed HoverZoom for breaking the policy. 8 of the 12 listed Chrome extensions are now disabled. We’ve also verified that a few of the remaining extensions have removed the tracking scripts.